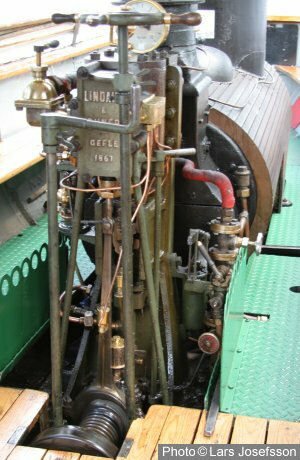 Single cylinder engine with Carlsund thread valve-gear. Steamboat Forsvik at her landing-stage. 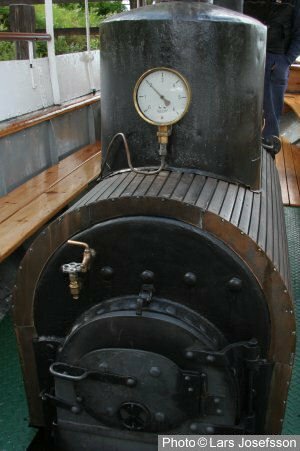 This steamboat has a very unique valve gear. 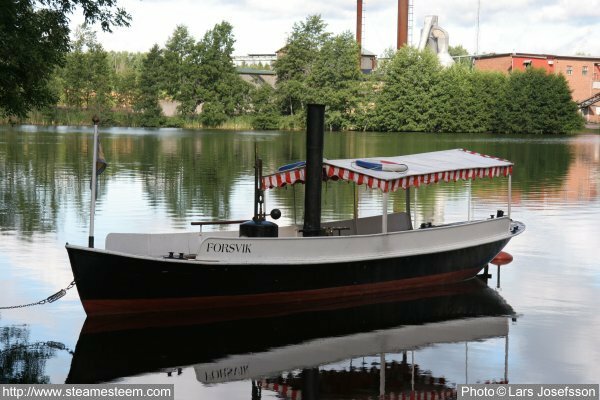 The Steamboat Forsvik wood-fired boiler. The stoker fires the boiler from the fore-side of the boiler. Notice the steering wheel at the top of the picture. The captain navigates and operates the engine. The reversing handle below the steering wheel is provided with the pinion that reverses the engine. At the bottom of the picture is the patented "Carlsund thread" valve-gear. The crankshaft is provided with longitudinal slots. A casing, yellow on the picture, connected to the eccentric is provided with thread-like slots. An outer axially movable casing with a number of concentric rings is provided with blocks, blue on the picture, that slide in the slots of the eccentric-casing as well as the slots of the crankshaft. A pinion moves the outer casing axially, as a rack gear, and that movement turns the eccentric on the crankshaft and the engines rotation reverses. 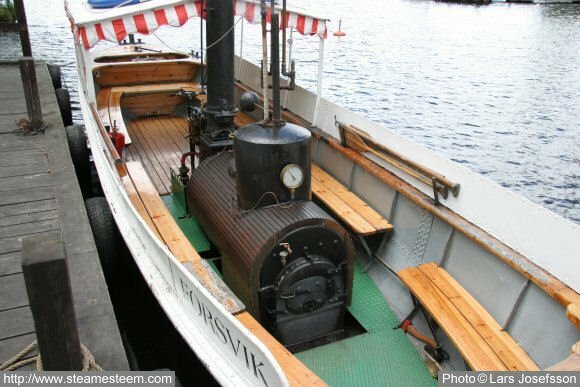 The Steamboat Forsvik's Carlsund threadvalve-gear is unique nowadays.